"In Resonance I got a kind of environment which ensured my success. The teachers were my inspiration. I was given plenty of opportunities to strengthen my subject knowledge. In Resonance, I was taught to invest in books, morality, intellectualism and wisdom, which helped me in achieving all my dreams. 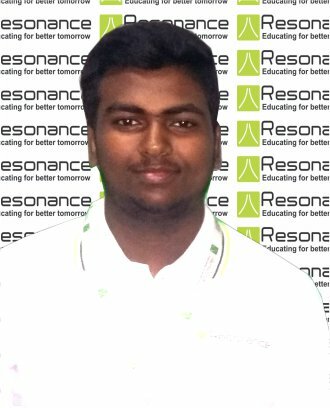 Resonance has given me the guidance with proper training, appropriate classroom atmosphere, good competition and perfect attention, which worked very positively for me and motivated me to score well in JEE." "The teachers at Resonance made a lasting impact on my mind. The staff at Resonance supported me throughout my preparations. They also made me aware about various examinations. The faculty at Resonance unchained my potential at the time of my nervousness and helped in boosting my confidence. Thank you Resonance!" "Resonance has excellent teaching methods. The explanations made by teachers had always been methodical and makes the subject easy to understand. The tests were very useful. I extend my heartfelt thanks to the teachers who taught me how to tackle the problems and were readily available whenever any help was required." "Though these exams demand a lot of hard work on the part of the students, a proper guidance is equally important. Resonance has given me the guidance with proper training, appropriate classroom atmosphere, good competition and perfect attention, which worked very positively for me and motivated me to score well in JEE. Moreover, the faculty here ensures optimum level of confidence in the students, which is critical for an exam like JEE." "Resonance gave direction to my subject knowledge and the new innovative ways of learning completely revolutionized my way of thinking. The study material provided by Resonance was carefully made in a sequential manner and was of great help .The teachers were also motivating and always ready to help the students in any way they could. I thank Resonance for helping me to achieve what would have been very difficult to achieve otherwise." "The main weapon needed to crack the tough exams like JEE (Main) is self-confidence. Resonance has done a brilliant job in boosting our confidence by conducting appropriate tests just at the right time. The lectures have always proved to be a treasure of knowledge. Resonance has experienced and excellent faculty members. Thanks to Resonance for what I achieved." "Being in IIT is a dream comes true. I owe my success to Resonance's guidance & teaching methodology. Resonance instilled confidence in me to take on IIT-JEE. In IIT Main, I felt like I am giving just another test of Resonance. This was due to the years of continuous proper guidance, intensive coaching and practice which built the temperament to take on such a difficult exam." "My dream has finally come true. I would say that Resonance is the main reason behind it. The study material provided by Resonance is simply incomparable and more than sufficient. All the faculties here are incredibly reservoirs of knowledge. The curriculum is also designed very carefully.”"
"It is not only the rank but also the journey which matters to me. The time spent at Resonance was really adventurous and completely transformed me. It was the enormous efforts put in by AGL sir, RKV sir, and SM Sir that brought the result I got. The preparation of JEE was tough, challenging and filled with lots of obstacles but the support that i received from my parents and my teachers at Resonance actually made it memorable. Cheers to team Reso." "Resonance played an important role in my AIEEE success by providing the right direction in my study plans and constantly motivating me to give nothing but my best." "Resonance played the pivotal role in my rank in AIEEE by providing a chance to live in a hostel with the rest of the toppers, their talented and affectionate faculty and the excellent study material." "Resonance provided me a great study environment and dedicated coaching, which helped me crack the AIEEE and IIT-JEE with flying colours. I am quite sure that without Resonance, the results would have been very different." "Resonance helped me the most in how best to study and how to get smart success in AIEEE ." 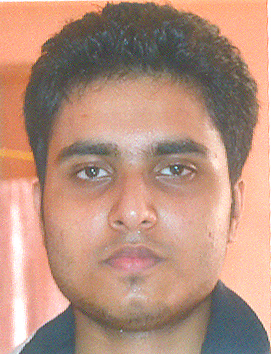 "Resonance helped me in achieving a good rank in AIEEE. The foundation of strong basics inculcated in me by Resonance is serving me well even today."